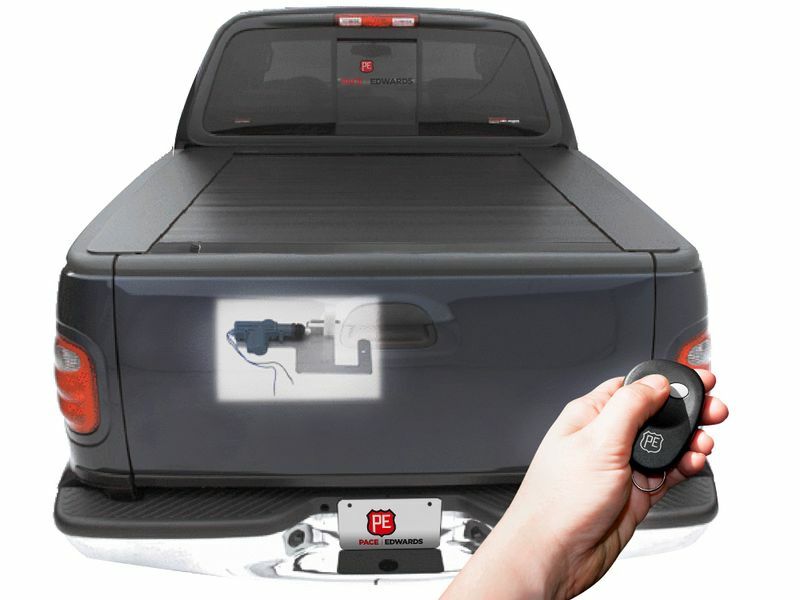 The Pace Edwards PowerGate electric power tailgate lock will lock your pickup tailgate the fast, easy, and convenient way with your existing pickups keyless remote. Lock your tailgate every time you lock your doors and prevent tailgate theft! This lock works great if you have a truck bed cover, lid, or topper. The PowerGateÃ¢ÂÂ¢ tailgate locks easily wire into your existing power door lock system using the plug and go wiring harness that is included. No drilling is required on most applications. The PowerGateÃ¢ÂÂ¢ tailgate locks includes stainless steel backing plate and slide bolt with nylon guide block. An optional switch kit is available for vehicles without power locks. This is one power tailgate lock you can rely on day in and day out. The Powergate tailgate lock can generally be installed in about an hour. Below are examples of some of the parts installation instructions. For additional information, please call 701-253-5906.